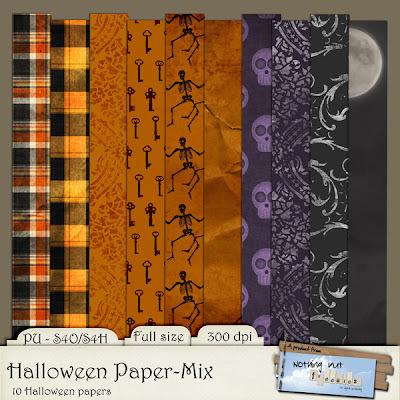 This weekend's Halloween freebie is a pack of mixed papers. 10 in all, pretty and not too spooky. 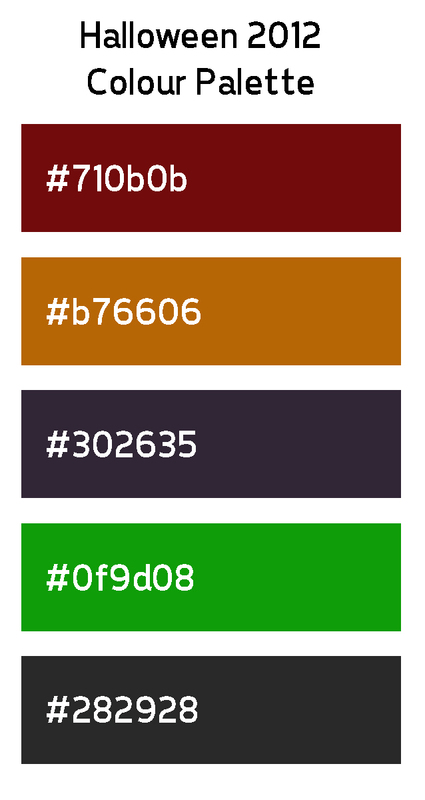 I have also made you a colour palette with the colours I have used for most of my Halloween freebies this year, just in case you wanted to make matching things for your layouts. And here are the colours - just click image and then right click to download. Please enjoy what's left of your weekend and come back tomorrow for Paper Time 2. Fantastic papers, I can't wait to work with them. Thank you so much. Thanks for the wonderful papers. fantastic papers! thank you so much! Thank you, thank you! I have been all over the net looking for paper, I was getting very frustrated. Thank you again. Great papers - thank you!